See what TMTG Juniors have been up to in their rehearsals for Disney's The Little Mermaid Jr! Performances are at 7:30pm on 13th, 14th and 15th July, with a Saturday Matinee at 2:30pm. 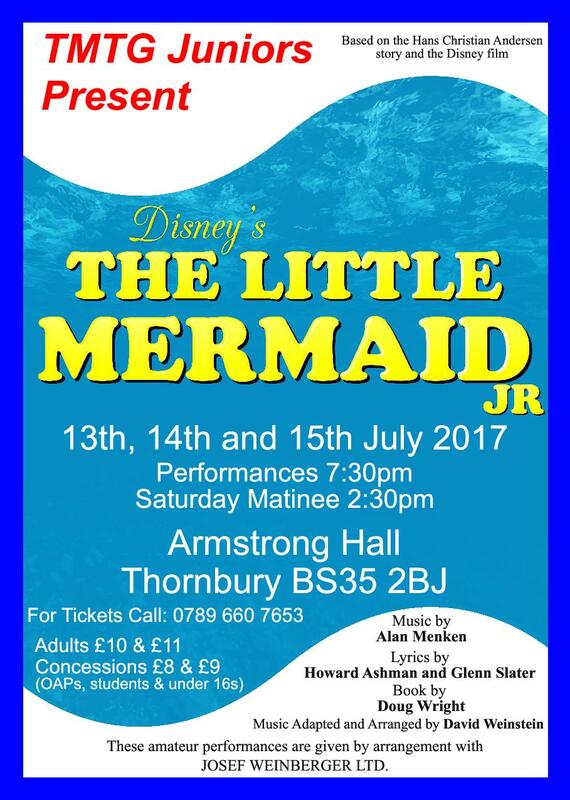 Whilst we are getting ready for our June concert, the TMTG Juniors have been busy rehearsing for their own show, "Disney's The Little Mermaid Jr"! It's looking fabulous, so make a note in your diary for 13th-15th July when they will be performing at the Armstrong Hall.